Empaths are powerful people, whether they realize it or not. To find out which type of empath you are, and the psychic ability linked to your individual type, read below. 1. Emotional Empathy is the most common – you will feel and process the emotions of those around you either knowingly or unknowingly, if you feel drained in the presence of those that are struggling or feeling hindered it is a sign their emotions have leaked into your aura and cleansing is recommended (see Melanies Spiritual Cleansing package). 2. Place empathy is another gift which goes largely unnoticed. If you have the awareness that you are uncomfortable or alternatively really happy in a certain location then this is your particular brand. Place empathy can occur remotely by tuning into a photograph or area remotely, you can also use this gift when moving on lost souls, or loved ones to heaven. People with this gift will often exhibit ‘chills’ or ‘wanting to leave’ if the location they are in houses old energy or emotions. 3. Medical Empathy is a lesser known gift, most commonly it is not used by practitioners in a conscious way they may just ‘feel’ an awareness on or in their physical body when reading for or treating someone or bringing through a loved one who passed from a condition, they can also ‘see’ blockages in a person’s energy field that may need treating. Medical empaths are more common than you would know, and if you have this gift you may find yourself replicating the symptoms of your friends, partner or clients even if you are not physically in the same country as them and you may not even be aware of their health issues. If medical empathy is something you possess, learning to strengthen your own energy field will help this gift get stronger whilst being able to be ‘turned off’ when you are not with clients it also means that you will not be affected by another’s health issues all be it by default. 4. Environmental empathy is one of the least known gifts, and the souls that possess this are called Earth Primordials. They will often feel great sadness when the Earth is going through trauma and transition, and will also pick up on the sadness or fear in certain geographical areas. You will also find if you possess this gift you are drawn to animals and nature, and will feel a kinship to woods, trees and landscape and want to keep them as natural as possible. 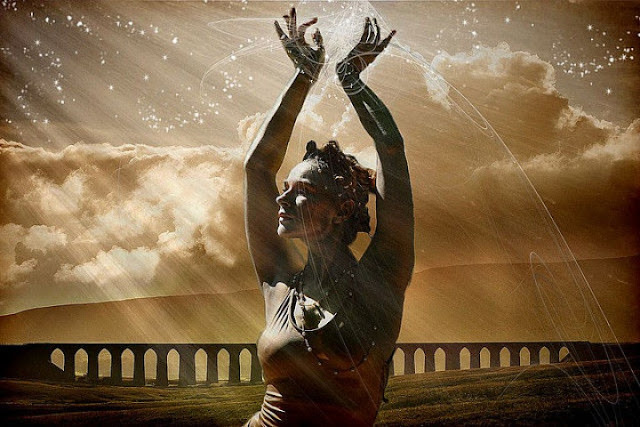 Environmental empathy can be exhibited by those that use their healing powers to send love to Gaia and also those who take on the causes of the Earth to make it a better place for all to live. 5. Intellectual empathy is a gift that is a real benefit depending on the company you keep. If you possess this gift then you will tap into the thoughts and perspectives of those around you. This is wonderful if you keep high vibrational company even remotely. It allows you to ‘duplicate the consciousness’ of individuals that you admire and would like to be just a little bit alike. the great thing is this doesn’t take from them as consciousness is always available on a mass scale as well as personally. However, if you have people or clients that are worried or upset or operating from a ‘lack’ point of view, then protecting your energy and your mental body is a must. Signs that you have this gift are changing your language over a short period of time, experiencing views that are out of character to you, and suddenly developing an urge to seek out information of a new kind in a way that hadn’t presented itself before. Discovering what kind of empathic gift you have and how clairvoyant you are are just some of the ways that an Akashic record or Angel reading can help you connect to your intuition. It provides clarity on why you just ‘know’ certain things, and why you avoid certain people and situations, it also helps if you are involved in the healing arts and truly want to expand to help others like yourself find their light. The angels are encouraging all Angel Workers to come out from hiding, not to worry about what society thinks as awareness is changing, and understanding your gift better is a perfect way to start. Remember, the fastest way to grow your gift is to love it just the way it is, and if you want some help with that Melanies meditations and my Angel readings are the perfect start to your new path. Thanks for this beautiful blog, Now you can do Live Psychic Readings which has all your answers for all your life questions.